So I watched Licence to Kill over the weekend. The 1989 film is the second of the two James Bond productions featuring Timothy Dalton as the iconic British superspy, and although it has a reputation as one of the less worthwhile Bond films, I enjoyed it. The movie’s tone is considerably darker than the relatively lighthearted Roger Moore outings, and although the script and Dalton’s personality mean there isn’t much “Bond” in the film in the sense of memorable interactions or one-liners, it functions rather well as a lean-and-mean “generic” spy thriller. And some of the explosions are absolutely epic. Unfortunately, one of the definite downsides of Licence to Kill is that there isn’t really a Bond car as such. No Aston DB5, no Lotus Esprit, nothing—Bond’s conveyance during the main action setpiece is an 18-wheel tanker truck, of all things. Really the only car in the film that has any semblance of appeal for the enthusiast is the one driven by the antagonist’s henchmen, the 1987-1990 Maserati Biturbo 425i. As with its already-esblished 2-door stablemate, beneath its rakish Italian skin, the Maserati is powered by a 2.5l SOHC V6 with a pair of turbochargers hanging off the cylinder heads. And as you might expect, the Italians didn’t engineer the car to a level of quality commensurate with its potential on paper. Put another way, in spite of its looks, the Biturbo was a turd of a car, catastrophically unreliable and with a power output of only 188 hp, far below what you would anticipate from the displacement figure and presence of the turbos. It is beautiful, though—in a wedge-y, boxy, ’80s sort of way, an aesthetic I’m particularly drawn to. The lines are strong and consistent inside and out, a 5-speed manual transmission option was offered and power was sent to the rear wheels. 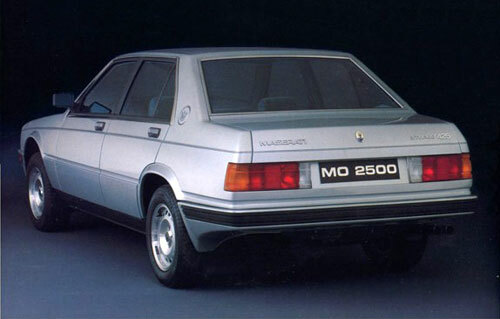 The raw elements were there, but Maserati’s quality at the time was appalling, rivaling British Leyland at its worst. The ingredients of greatness were present, and when everything worked perfectly… Jeremy Clarkson once said about Alfa Romeo, “They build a car to be as great as a car can be—briefly.” The same might be said of the unsung hero of Licence to Kill, the 4-door Biturbo. Matt, glad to hear you watched LTK. I always loved the Maserati in it, but didn’t know anything about it, so thanks for the info. I don’t know how you watched the movie, but if you have the DVD, there is an awesome special feature on the making of the movie and on the preparation for the trucks, which is pretty cool. I originally thought the car was a Quattroporte, which would have been slightly classier, and probably too classy for the villain’s henchmen. Still a cool car. Haha, that’s funny. I thought it was a Quattroporte, too. Too bad. Anything called a ‘Bi-turbo’ should be crazy fast, IMO. Maserati has such a bizarre naming convention… Either they name their cars after famous winds (Ghibli, Kyalami, Bora, etc) or they simply pick one of their cars’ features and call it that. 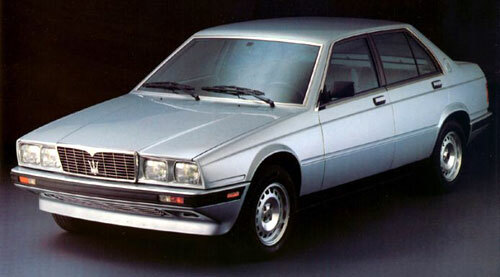 Quattroporte = Four door. Biturbo = Two turbo. The latter naming scheme is simultaneously boring as hell and actually kind of cool for being so unaffected. Watch the movie! It’s a pretty good one. All of the above. You’d have really loved the early Biturbos: They combined vacuum lines, solenoids, turbos and carburetors. Fun! At least the 425i was fuel-injected. The featured car was 1992 Maserati 930 Bi-Turbo,with 244 Bhp.Owned one fast & fun to drive, very unreliable. The car I have pictures of, or the one featured in the movie? The rear view shown above has a “425” on the decklid, and how would a ’92 car be featured in a movie that was released in 1989? Still would love to own one… Very cool cars. I just came across this post. Love it and loved the movie. I prefer the Coupe over the 4 door 425, but LTK villain would require 4 doors…. 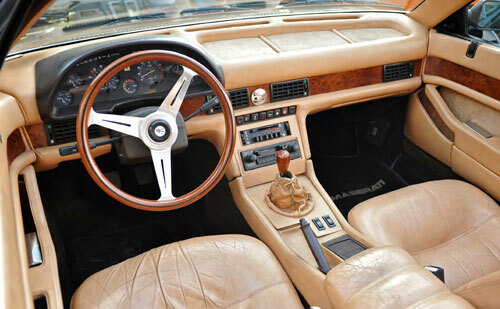 The motor pictured in this article is most definitely a 1986 2.5L carbureted engine – the giveaway is the finned plenum which was only used on 1986 models (replaced the year later with fuel injection). Also, body paint color is white versus silver of the movie car, perhaps a different picture used just to show off a clean 1986 motor which the one pictured is that. I have owned an 1985 Coupe since 1990 and I love it. I recently restored it to show quality Yes, it took a lot of time and money to get out the original factory flaws and demons, but it is very reliable when taken care of (most biturbo owners neglected them), and optimize the engine to over 300 bhp @6k, 360 ft lbs torque to the wheels which provides a very quick experience at all speeds, which on the track embarrasses almost everything from the 80’s including quite a few late model supercars. Thanks for the comment, Ed! Glad you enjoyed the post, and always nice to hear from someone knowledgeable about the car in question. Well done with your Biturbo! I’m sure that was a labor of love. I’ve been wondering: What ARE the flaws and demons the car and engine are susceptible to?